Taimur Ali Khan who is always spotted with a smile on his face and greeting the paparazzi was spotted today with a cute grumpy face. Even though he was seen pulling a long face, he still manages to look cute and win hearts. Taimur is one of the most loved star kid and his one look is enough to bring a smile on your face. 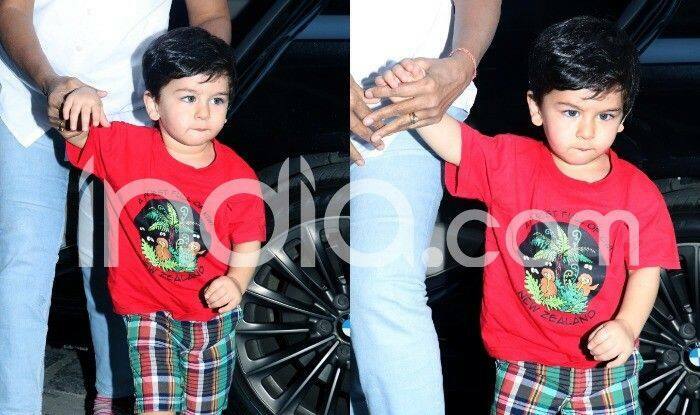 Kareena Kapoor Khan and Saif Ali Khan‘s little munchkin was spotted outside Soha Ali Khan’s house with a long face. Even though the little one was not ready to pose for the shutterbugs which he is always up for, he still looked cute as always. 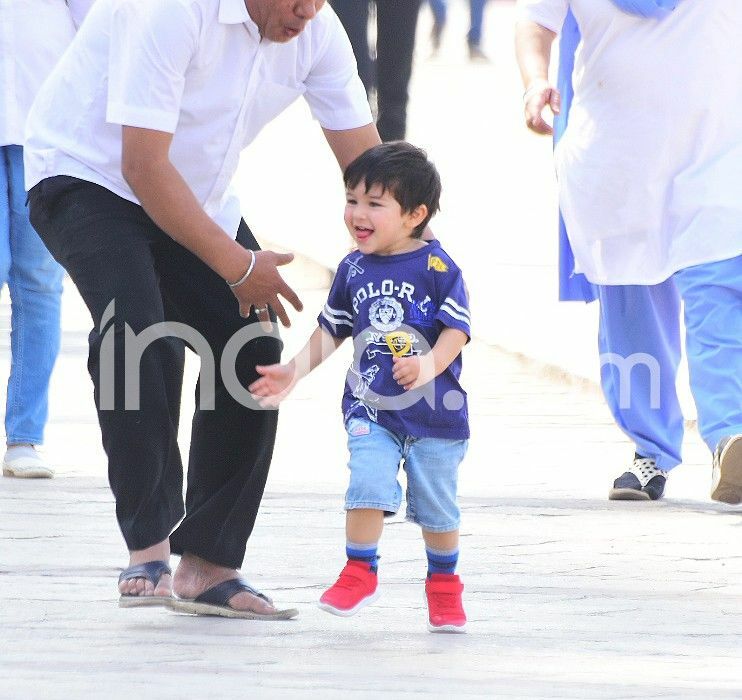 A few days ago, Taimur was spotted accompanying his father Saif to the sets of Sacred Games 2 and made that his playground. There is no denying that Taimur is someone who can make anyone’s day with his cuteness and innocence. Earlier, Kareena revealed who buys Taimur’s cool outfits and said, “Well ya, I shop at Zara, H&M and Adidas. I mean I don’t believe in getting my son Gucci or Prada. I am very sorry. He doesn’t earn his own money. His parents work really hard to buy his outfits and you know, my parents never gave me branded clothes till I made my own money.” She further said that she gets “simple clothes” for her toddler but wonders why it becomes a fashion statement. A few days back, Saif, Kareena and Taimur celebrated Republic Day. The trio was seen dressed in traditional attires. The little star looked adorable in a white kurta and pyjama. He sat on his father’s shoulder and later hoisted the flag with him. Saif wore a powder blue coloured kurta pyjama. Kareena, on the other hand, donned a peacock green Anarkali attire. While Saif is busy shooting for his web series Sacred Games 2, Kareena, on the other hand, has started shooting for her upcoming film Good News where she will be seen opposite Akshay Kumar. The film also features Diljit Dosanjh and Kiara Advani. Bebo has also signed Karan Johar’s Takht. Saif, on the other hand, is currently occupied with the work of Sacred Games Season 2.